The Company was founded in 1993, and has been providing quality service to the public ever since. Our company is in the business of helping homeowners save with energy efficient products in your home.​ We specialize in heat pumps, furnaces and air conditioners. We stand committed to getting the job done with the highest quality workmanship a priority. We pride ourselves also on the quality and reliability of our work and feel that open communication with the homeowner is the best way to exceed your expectations. ​ We provide several references. We do it right the first time because we know in the long run; your unconditional satisfaction is really all that matters. “Why not trust your neighbor with a job as big and important as the comfort of your family or customers?” Anthony Detamore asks. He has a point. His customers are very happy with the service provided by Essential Heating & Air Conditioning—so happy that Anthony can barely shop in Publix at peak times because he gets stopped and patted on the back so often! Born in Cleveland, Ohio, Anthony relocated with his family to Atlanta at age 6. 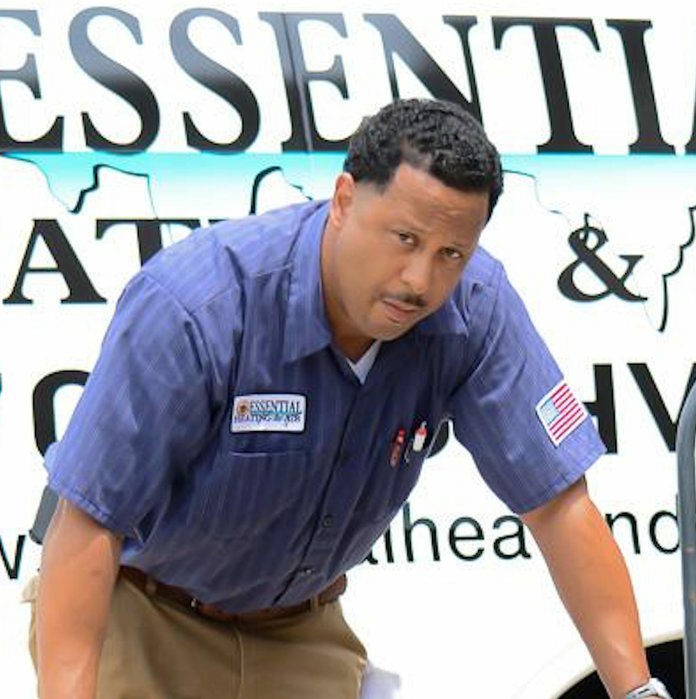 He attended Atlanta Technical College and received his HVAC Certification, establishing Essential Heating & Air Conditioning, Inc. in 1998. A diehard Falcons fan and season ticket holder, Anthony has made the South Fulton area his home for 10 years. His passion for service drives Anthony to spend much of his spare time assisting in the community by encouraging youth to become entrepreneurs and providing training in the HVAC industry. This kind of giving back demonstrates the heart with which Anthony and his team operate the company. Essential offers financing for any size project, large or small! 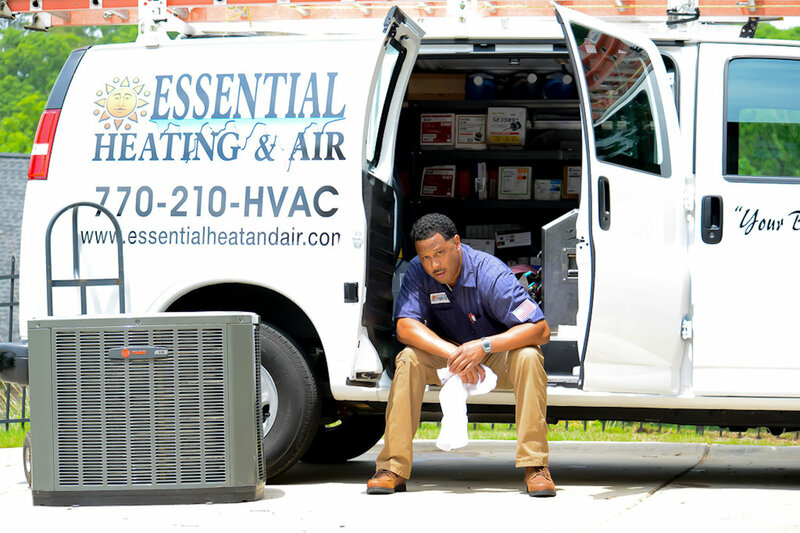 Essential Heating & Air Conditioning is fully licensed and insured and has been servicing the Metro area for 23 years, providing HVAC in a variety of settings. With Commercial, Residential and Service departments, Essential is in the business of helping customers protect their investments from unforeseen occurrences that can ultimately be costly. Dedicated to providing indoor weather solutions for families across Georgia, the Essential team stands out by offering customers first class service by highly trained technicians at below industry pricing! Essentials offers “Your best selection” as it states in the company motto. Customer satisfaction is the first priority!